This is a die-cut Key System porcelain sign. This particular Key System sign is predominantly black and yellow. 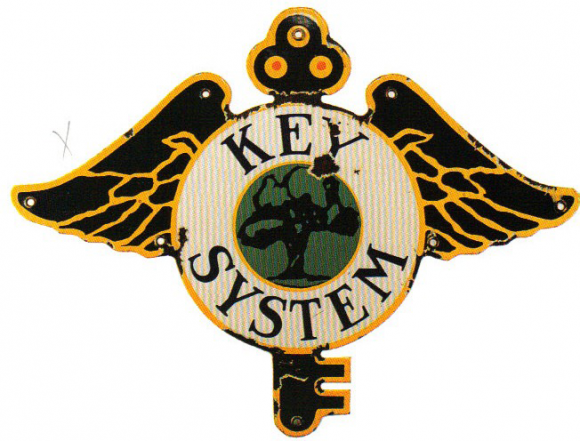 It reads, “Key System” and features a green tree in front of a skeleton key with wings.